For centuries, the Chinese have used Chinese herbs for weight loss. Of course, weight problems were not as common in ancient times as they are now, and in recent decades, Chinese medicine has made valuable contributions to the use of herbs for weight loss. Herbal formulas can assist digestion, increase fat burning and help balance and regulate blood sugar. Of course, food is the first medicine and your diet is crucial in any weight loss plan. Herbal formulas like Dia-Slim help you to digest your food well, stimulate metabolism and provide a wide range of plant phytochemicals that regulate blood sugar and help you lose weight. Using Chinese herbs for weight loss is easy if the remedy is well researched and convenient to consume. Dia-Slim is composed of 9 herbs, and comes in a convenient 2oz liquid. Herbal liquids are very easy to take and are highly absorbable. Try Dia-Slim today for blood sugar balancing and fat burning, if you don’t like it, you can return it for a full 100% refund! Dia-Slim is a nine herb formula for natural weight loss and one of the most profound benefits of Dia-Slim is the effect it has on sugar cravings. Sugar cravings and carb cravings make it very difficult for a person to lose weight. But when Dia-Slim is added to a person’s diet, they often find that sugar and carb cravings are radically diminished. When you short circuit your sugar cravings, you are able to eat less. By eating less sugary and high carb foods, you obviously lose weight. When sugar cravings are diminished, you also are able to make healthier food choices. To short circuit your sugar cravings you need the intelligence of herbal medicine. Herbs re-balance your body’s systems. Cravings are a sign that your system is out of balance. Dia-Slim brings you back into balance and stops the cravings so you can focus on increasing your healthy food choices and lose more weight. DiaSlim is a potent 9 herb formula for natural weight loss. The tincture can also be made into a delicious herbal weight loss tea. Simply put a dropper full of DiaSlim into a cup. Then add in a few drops of liquid stevia. Stevia leaf is an herbal sweetener and sugar alternative. Stevia is excellent for people with blood sugar problems like diabetes because it does not spike blood sugar levels. Because stevia does not elevate your blood sugar, it pairs very well with DiaSlim. So with one dropper of DiaSlim in a cup, add in a few drops of stevia. Cut a fresh lemon in half and squeeze one half of the lemon into the cup. Add a cup or so of water to taste. You know have made a very potent herbal weight loss tea. Actually this tastes a lot like sweet tea, except for one fact: with this concoction, you will be losing weight naturally with a potent herbal remedy for weight loss. You can enjoy our herbal sweet tea for weight loss anytime you want a nice treat that will help you lose weight. To learn more about Dia-Slim check out this information about the formula. Dr. Mark Hyman calls it diabesity, and it is consuming our nation and many parts of the globe as diets change from simple whole foods to processed foods and refined sugars. Diabesity is the word for an increasing trend of a health care epidemic that shows up as diabetes and prediabetes along with obesity. It is well documented that obesity, particularly belly fat, can lead to insulin resistance and diabetes. Most people that are obese fall into the prediabetes category. Repairing a person’s metabolic health and restoring the ability of the pancreas to balance blood sugar are paramount to a healthy life. 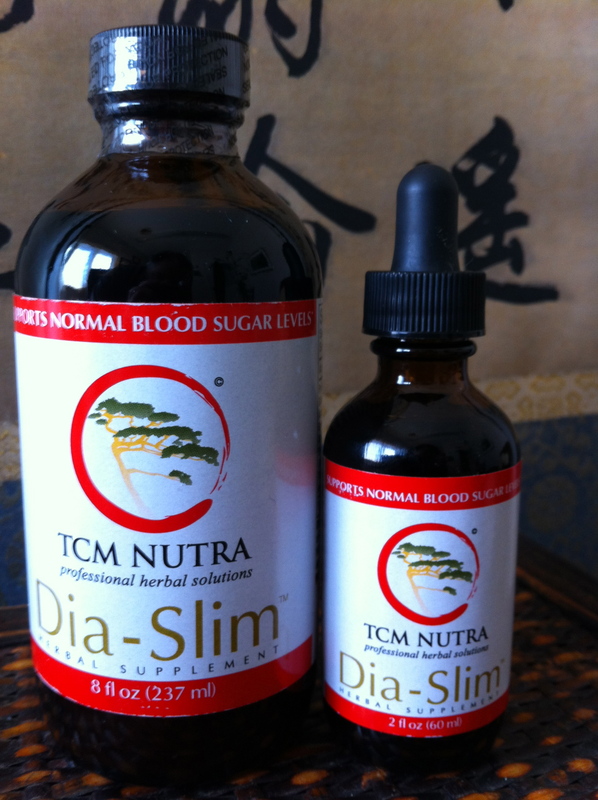 Dia-Slim is great for the symptoms of diabesity as the herbs focus on metabolic health. Dia-Slim treats the whole person in an integrated way providing support to blood sugar levels, and gently stimulating the metabolism of fat. Dr. Hyman knows that an integrated approach to diabesity includes eating all natural foods and whole food supplements and herbs. If you want to stop sugar cravings and lose weight while balancing your blood sugar, give Dia-Slim a try. The herbs in dia-slim, such as gymnema, cinnamon and green tea help restore metabolic health and stop insulin resistance. The old model of using herbs for weight loss in America was predicated on using herbs as stimulants. The idea is that if you jack up your heart rate with these herbs, you will boost your metabolism. When advertisers talk about burning fat and raising your BMR or basal metabolic rate, usually they are referring to using stimulant herbs. 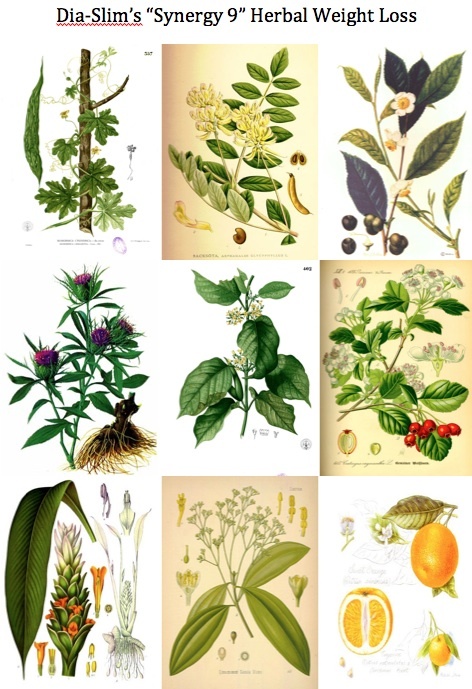 Ephedrine, a component of the herb ephedra sinica, was a very popular herbal stimulant used in weight loss remedies until it was outlawed a few years ago. Used correctly, ephedra sinica is an amazing herb that is never used for weight loss in traditional Chinese herbal medicine. There are many herbs that help weight loss but are not going to over stimulate you or be dangerous to your heart. Traditional Chinese medicine, TCM, takes a more holistic approach, and targets weight loss from multiple angles. Dia-Slim was created to target multiple angles in a comprehensive weight loss strategy. For instance, green tea is known to increase metabolism of fat by about 4 times if taken before exercise, so we added organic green tea to Dia-Slim. 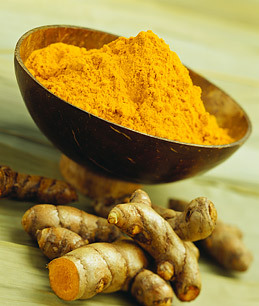 Tumeric has demonstrated an ability to reduce inflammation and protect the heart from plaque build-up, so we added turmeric. Also, turmeric is slightly warming from a Chinese medicine perespective and invigorates the blood, while green tea is astringent and cooling, so the traditional energetics of the herbs balance eachother out. To learn more about the individual herbs in Dia-Slim and how the synergize to help you lose weight naturally, check out this page. Natural weight loss supplements can be a great addition to any kind of weight-loss plan. I’m not a big fan of synthetic supplements. I find that certain synthetic supplements can be problematic for the body and the example I like to give is that of high nitrogen fertilizers. If you fertilize plants with high nitrogen fertilizers the plants might initially look like they’re doing well but the plants will be then more susceptible to diseases and other problems later. This is similar to the side effects of certain drugs. Certain synthetic supplements can drive the body physiologically to make certain changes but they’re not always the best changes. Hippocrates, the father of western medicine said, food is the first medine. Use food as medicine first, and then use natural herbs which are less invasive and less toxic on the body than drugs and they tend to get a better result. Our herbal formula Dia-Slim is a natural weight loss supplement, because it helps you to lose weight naturally by simply taking herbs in a liquid form. 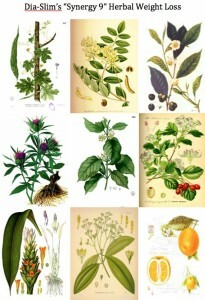 Dia-Slim is composed of 9 herbs. Five of the herbs in Dia-Slim are organic and the formula is manufactured in the USA and is tested to make sure it is clean and pure. So remember, try to use herbal formulas as opposed to synthetics supplements for weight loss. 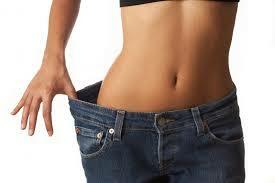 Natural weight loss can be achieved with formulas like Dia-Slim that target your body’s fat stores. Lean muscle is 5 times more metabolic than fat tissue. Simple weight lifting exercises creates a metabolic furnace that burns fat 24 hours a day. Eat more frequently but in smaller portions: 6 small meals, or three regular meals with 2 snacks in between. (For healthy food ideas and recipes just call us at the clinic: 828.254-4405). Most people do not know that a toxic or stagnate liver can cause an immense backup of toxins that then get stored in fat cells. The creation of fat cells is often a defense mechanism that protects other cells from toxins; fat cells hold the toxins in a kind of hibernation until the liver is ready to deal with them. As you detoxify your liver, you will automatically begin shedding fat because your liver will then have the ability to neutralize the toxins that have been stored in your fat cells. I have seen so many people eat all the right foods and exercise more but they still could not lose weight, only when we detoxified their livers did they begin to shed the extra pounds. Sleeping 6 hours a night raises your risk of developing obesity to 23%, sleeping 4 hours a night raises your risk of developing obesity to 73%. Continuing research demonstrates that 8 hours really seems to be ideal for most people regardless of age or constitutional type. During sleep, the body does cellular repair, and rids itself of stress hormones that cause fat tissue to accumulate. Realize that food acts as a stressor: fatty foods, refined foods, coffee, tobacco and excess alcohol all cause adrenaline and cortisol to be released into the bloodstream and this in turn cause the body to break down lean muscle and to store fat. To try our herbal formula for weight loss, Dia-Slim, completely risk free, click here. When people say “organic weight loss” they typically either mean using organic products to help them lose weight, or they mean a program that helps them to lose weight naturally and organically. The Chinese Medicine Weight Loss Solution is both. Our organic weight loss solution consists of both an eBook, packed with my best information on how to lose weight naturally and sustainably, and an organic herbal weight loss formula based on the wisdom of Chinese medicine. Our herbal formula, Dia-Slim, is the first organic Chinese herbal formula for weight loss in the world. So if you are looking for organic weight loss, then choose a program that will teach you how to lose weight organically and naturally using real whole food solutions and organic herbs. 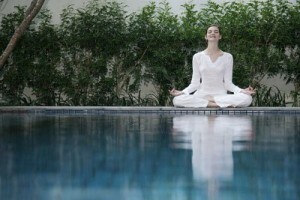 To learn more about the Chinese Medicine Weight Loss Solution, just click here. Organic Chinese remedies are very rare in the US and in China. For many years now, Chinese manufacturers of herbs have been under intense scrutiny because many of the herbal products coming out of China have been poorly manufactured and adulterated with toxic heavy metals and even pharmaceutical drugs. This does not mean that all products coming out of China are toxic or adulterated, but it does mean that consumers of Chinese herbal remedies would be wise to do some research on the manufacturing standards of the herbal products they are going to buy. TCM Nutra manufactures organic Chinese herbal remedies here in the USA at a GMP certified facility that is inspected by the FDA. Dia-Slim is tested for heavey metals and pesticides and is free of contamination. Our organic Chinese remedy for weight loss, sugar cravings and blood sugar issues, Dia-Slim, is the ONLY organic herbal formula based on the wisdom of Chinese herbal medicine combined with modern research in the world. 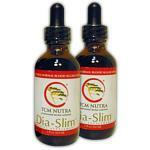 Dia-Slim is an organic liquid herbal formula that comes in a 2oz and 8oz size bottle option. Liquid herbal remedies have been used for thousands of years because they are easily absorbable and easy to use. To learn more about Dia-Slim go here. While there are literally hundreds of natural weight loss remedies on the market, we feel certain you will see that Dia-Slim is uniquely effective. Dia-Slim is an all natural, organic weight loss remedy made from nine herbs. Five of the nine herbs are USDA certified organic. Dia-Slim combines green tea, gymnema, bitter melon, cinnamon, tangerine peel, turmeric, hawthorn berry, astragalus, and atractylodes, in an herbal remedy that we call “synergy 9.” We also have a 100% guarantee on our Dia-Slim product. Dia-Slim was rigorously researched for more than 10 years by working with real patients in a clinical setting. Using the research and experience of Chinese herbal medicine combined with modern research has resulted in a highly effective natural weight loss remedy. Dia-Slim is manufactured in the USA at a FDA certified facility and each batch of formula is tested in the lab to make sure it is pure and clean. Dia-Slim can help stop sugar cravings, increase feelings of satiety, increase fat burning and balance blood sugar. 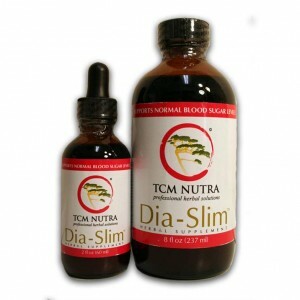 Dia-Slim is also the first organic Chinese herbal formula for weight loss in the world. Learn more about Dia-Slim here. ©2019 TCM Nutra – Organic Herbal Medicine Solutions. All Rights Reserved.